Centaur Interiors was selected as the construction management and design-build contractor to transform a standard builder’s model bathroom into a custom, minimalistic bath retreat in a 21-story high-rise in the burgeoning Museum Park area of Chicago. Buildings in the South Loop are flourishing with modern architecture, tolerating the concept of a modern bath design. Mike Miller, Project Manager, partnering with the owners, designed the bathroom to include many innovative elements. Once the bathroom was completed, the owner decided to remodel other areas of the home, and coinciding with the creation of Centaur Baths, that division took over the remaining remodel. The additional work included the master bedroom, kitchen, foyer, office, family room, and the hallways. 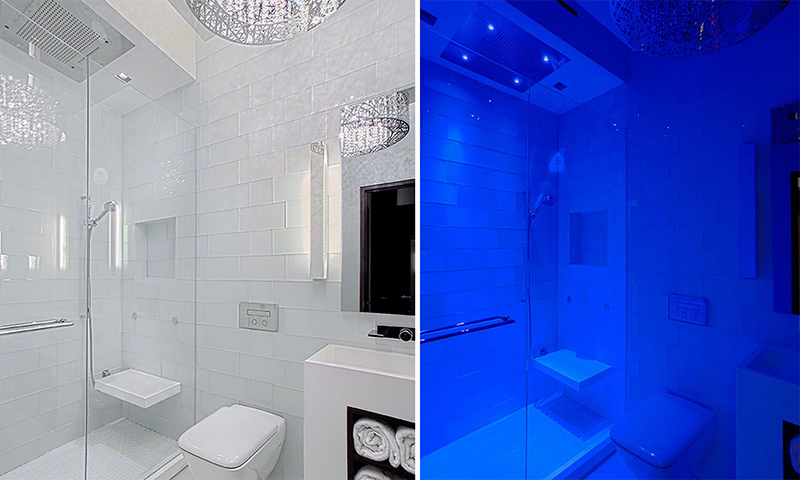 The team fostered a bathroom design with a spa-like feel that was inspired by The Hotel in Las Vegas. 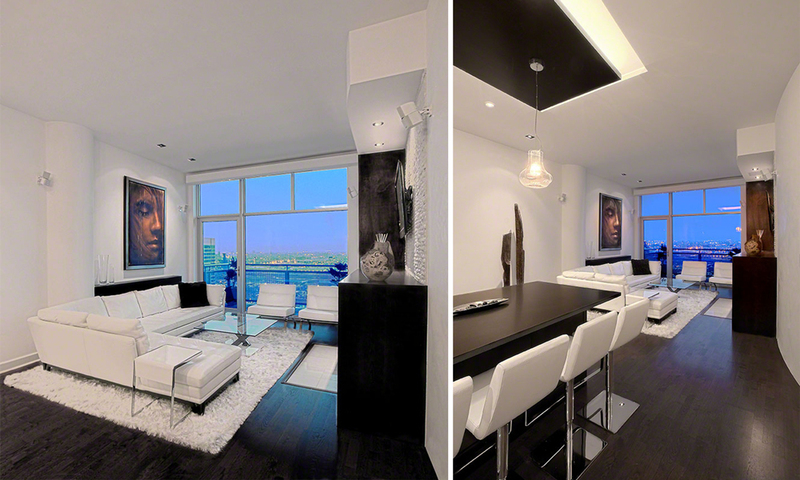 To maximize an open-flowing space, the ceiling was vaulted 2 feet. Increasing the ceiling height presented a challenge: the fire sprinkler, which was set for the previous ceiling height, needed to be relocated. Working with the building property manager, Centaur received approval from the building architect for the relocation. 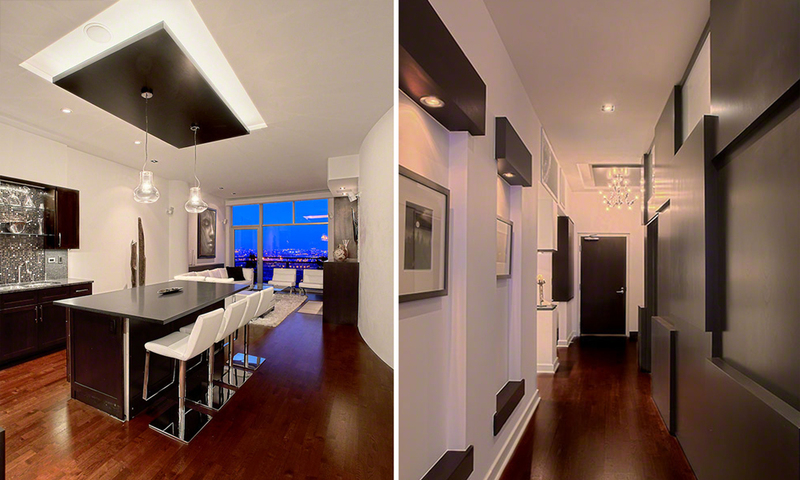 Custom recessed lights accentuate the ceiling, giving the allusion the dark wood panels are floating from the ceiling. 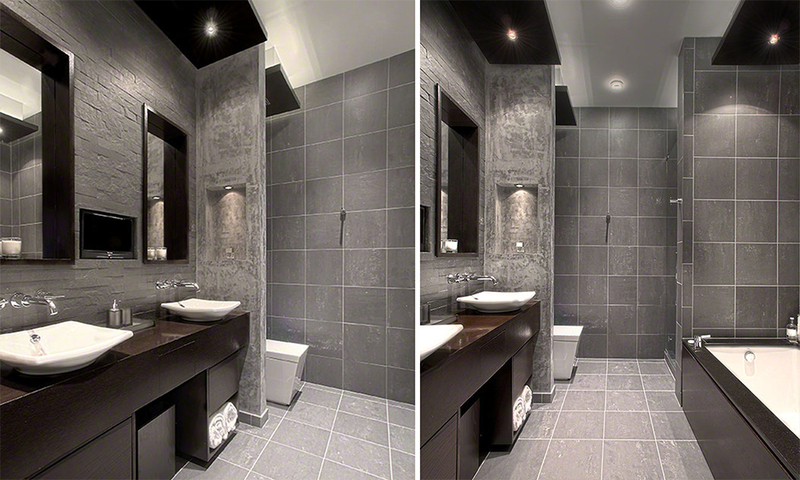 This feature allows both direct and indirect lighting. Vessel sinks, in-wall faucets, mirrors and lighting are centered, providing an artistic, yet meticulous appearance. A TV is recessed within the stone and visible from many viewing points. The Kohler Water Tile Rain Shower seems to float, enhancing the spa experience.